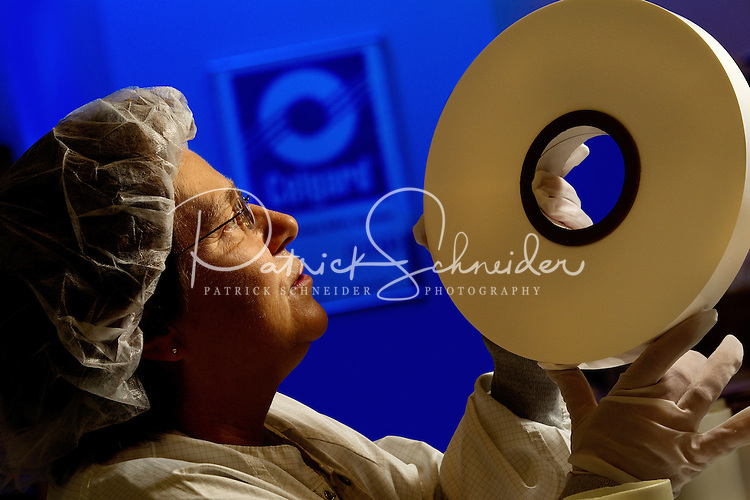 Photography of high-tech manufacturing operations at Celgard LLC, a producer of specialty microporous membranes and other products for the lithium battery separator industry. Celgard separators are used in lithium-ion batteries for such consumer electronic devices as notebook computers, mobile phones, and digital camera, as well as commercial applications in power tools, grid management systems and electric drive vehicles. In 2010, president Barack Obama toured Celgard's Charlotte, NC, facilities.